The racetrack just got turned into a WARPATH for this high profile monster truck! With mean, track eating tires and a raised chassis, it's ready to roll over most anything the road can dish out! 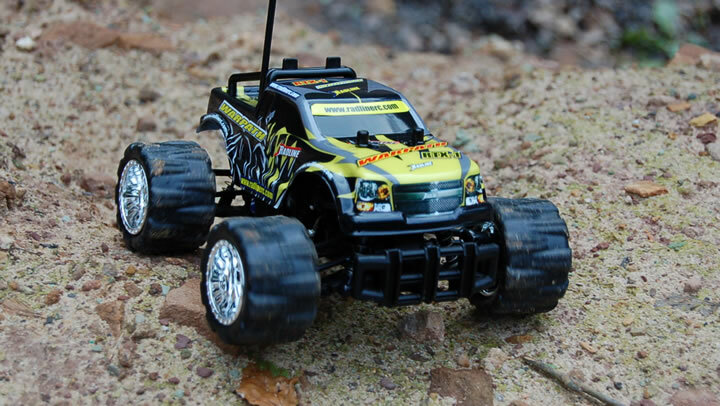 If your appetite is for muddin' mayhem, then the READY-TO-RACE RADLINE RC WARPATH is the monster truck for you! With fat, track-eating tires and a lifted, wishbone suspension to clear the roughest patches of terrain, the AWD WARPATH was custom bred for off-road fun - and built to drive on - or over - all that the dirt can dish out! Your complete RADLINE RC WARPATH Race Kit also includes batteries, a roll bar, bumper, decal set and 2 Channel TX controller. Still not enough excitement for you? "Modify and Maximize" your WARPATH with optional RADLINE RC performance parts and accessories!